Folksy and supportive, this knowledgeable Grandpa makes learning how to build a house both fun and rewarding! 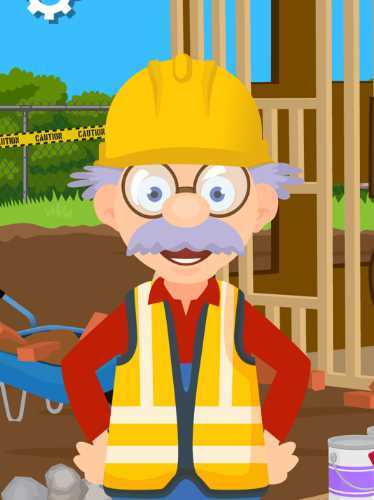 Build With Grandpa allows kids to don a digital hard hat and build a house. 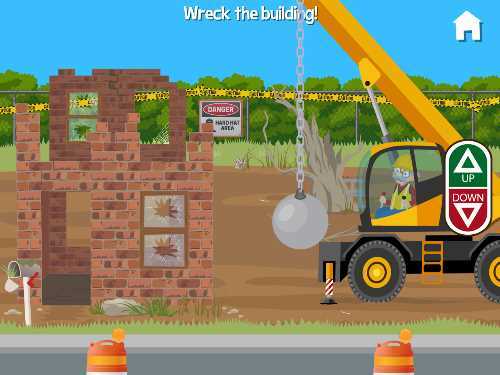 Kids start by directing the wrecking ball at a blighted building. Next, they clear off the demolition site. 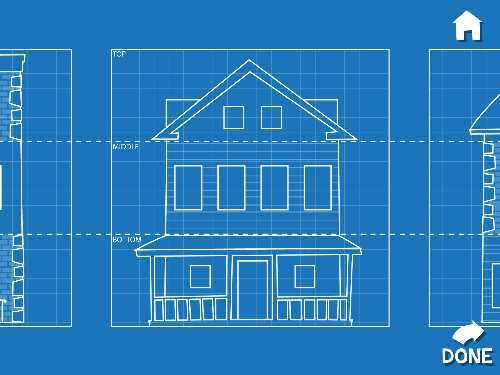 By sorting through some blueprints, players select a house they like. Then out comes the circular saws and other equipment to build the house. Kids will mix the cement before pouring the foundation, drive heavy construction vehicles, and use math to combine boards to finish a wall. In addition to building the house, kids tap into their creativity to decorate their building. They use a roller to paint its exterior and select the windows and doors to give it the finishing look they desire. They also have choices of landscaping to add before taking a photo of their work. 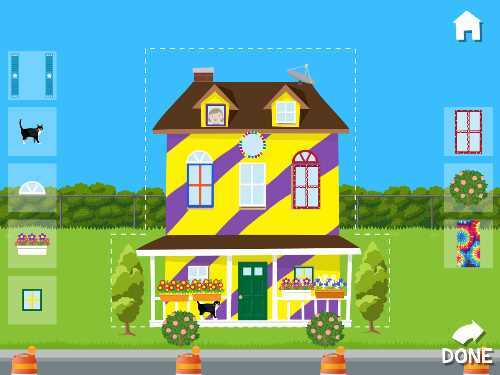 The Build With Grandpa app does a great job of introducing kids to the process of building a house by having them involved in digital activities each step of the way. 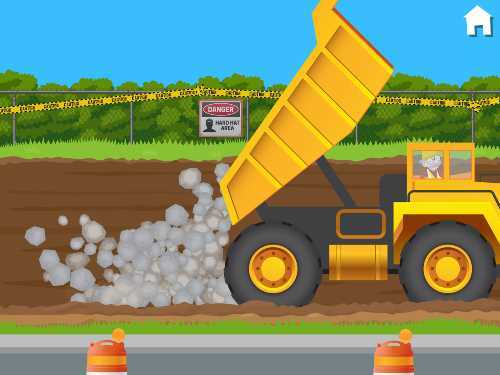 For example, players dump gravel out of dump truck for the foundation; and they mix the cement. They even learn about taking safety precautions; and how new buildings can replace blighted ones. Besides having fun being actively involved in building a house, kids experience some educational content within the activities. Before the cement truck pours the cement, kids solve a word search puzzle to find building words, such as "trim" and "measure." Likewise, hammering boards is a math exercise in solving an equation. And the app contains 10 short videos showing different aspects of the building process. Build With Grandpa also taps into kids creativity by asking them to design, paint, decorate, and landscape their house. 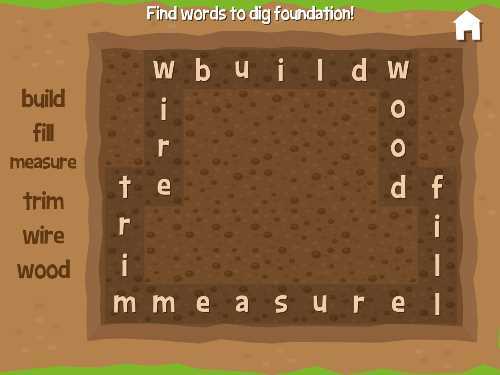 Build With Grandpa is a great app for any child -- both boys and girls -- who's interested in learning how things are built. Kids immediately feel comfortable with the benevolent Grandpa in the lead, as he guides them through the building process. As the player's mentor and cheerleader, Grandpa shares his brown-bag lunch and dispensing supportive "high-fives" for work well done. This Build With Grandpa app review was written by Jinny Gudmundsen.